Men's jewelry no longer has to be a stainless steel watch or a set of cufflinks sitting on top of grandpa's dresser; for many men it has become an essential part of their personal style. Jewelry worn with suits and business wear has become the norm--it adds to a polished, sophisticated look. It's all about attitude and what you feel comfortable in. Paul Newman used to wear a massive ring with the cameo of a Roman emperor and he did it with confidence. It should look like you've been wearing it for years--something you picked up along the way. You want to feel comfortable, ask yourself, "Do I feel like myself with this accessory on?" Men's jewelry can be classified into classic and casual; classic can be worn with suits. 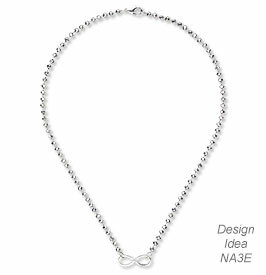 Classic pieces are going to be metals--sterling silver ball chain, gunmetal chains, stainless steel or gold. Casual jewelry is often categorized into many different materials--metals, leather and thick strands of waxed cotton or hemp. 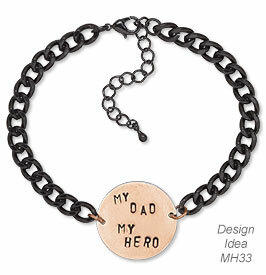 Designs and shapes are typically skulls, sports teams, daggers, vintage coins--this is where you can really personalize. Tribal designs are often used in masculine designs that incorporate geometric patterns. Ranges of color beyond black are available, bringing in the hues of grey, ecru and gold. Popular metals for men's wear, including stainless steel, are very versatile and stylish with a selection of finishes to choose from. Metal has a masculine appearance and high level of durability. Use of Tribal Design: Use of tribal designs can connect you to your heritage or have a symbolic meaning for you. Semi-Precious Gemstone: Hemalyke™ is a manmade metallic-grey stone with a mirror-like finish--a look- alike for natural hematite. It has a shiny almost gunmetal grey color which adds a sleek, modern look. Leatherette Bola Cord: Leather is always a great choice for rugged accessories and is always trendy. Bracelets and necklaces often incorporate braids, bolos and knots with a variety of natural materials such as bone, wood, natural shell or metals such as stainless steel or copper. Leather is very durable making it a great choice for jewelry that is worn daily. We would like to share some of the customer comments we received in response to the article "Men's Jewelry: Defining a Sense of Style," as featured in an email newsletter. Please keep in mind that the comments expressed below are those of our customers and do not reflect the views of Fire Mountain Gems and Beads. 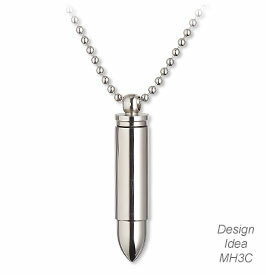 "Yes, I liked it very much, I needed ideas for mens jewelry and those were enough to get me started. Thanks, I appreciate the inspiration."